The UN has urged countries involved in the child sexual abuse scandal in the Central African Republic to beef up their efforts to bring those responsible to justice, after a string of reports exposing more atrocities and a suspected UN cover up. “It is important to do a thorough review of what happened in the past, but also to drive home the message that there must be no repetition of these dreadful acts now or in the future,” said UN human rights chief Zeid Ra'ad Al Hussein in a statement issued in Geneva. The sexual atrocities in question only surfaced last month but describe the events that took place between December 2013 and June 2014 at a center for displaced people at M’Poko airport in the Central African Republic capital, Bangui. Besides the French troops’ crimes, allegations of misconduct by peacekeepers from Chad and Equatorial Guinea at the same camp were also reported. France which had launched the probe into the matter has already identified some of the soldiers accused of the abuse. It is still unknown whether authorities in Chad and Equatorial Guinea have followed suit. The UN has come under fire for failing to take measures to punish the offenders, despite the fact that none of the implicated troops were UN peacekeepers at the time of the sexual misconducts. A new set of documents, shared by AIDS-Free World allege that UN peacekeeping mission made no attempt to stop the ongoing abuse or protect children they had been interviewing. In fact, the world body is suspected of trying to cover the issue up. 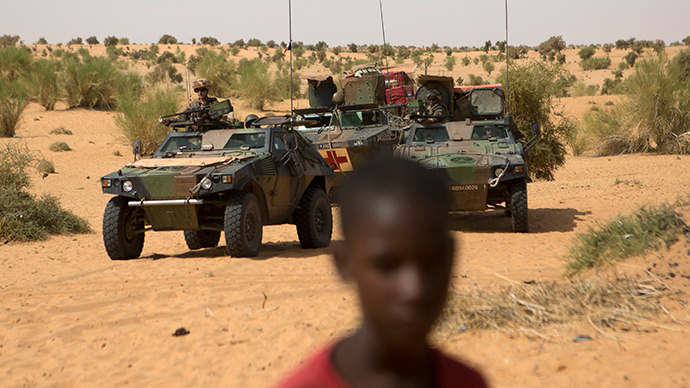 According to one of the reports, 23 soldiers from France, Chad and Equatorial Guinea are implicated in the child abuse scandal. The sexual abuse of 13 children was documented in the interviews. “The documents indicate a total failure of the UN to act on claims of sexual abuse, even when they know that UN involvement might be the surest route to stopping crimes and ensuring justice,”said Paula Donovan, AIDS-Free World's co-director. The documents allege that senior staff member at the OHCHR, Anders Kompass, who shared allegations of pedophilia with French authorities to kick-start the investigation, was being persecuted by the UN officials who accused him of “inappropriately”leaking the report detailing names of the witnesses. Another document shows UN internal communication detailing discussions across UN departments about Kompass’ case. The documents reveal that UNICEF had evidence of abuse but nevertheless failed to promptly act, with sexual exploitation of children continuing after the initial interviews held by the agency in May 2014. According to Donovan some 30 officials were aware of the violations for months and did nothing. Instead she claims the UN peacekeeping mission stalled the French investigation by denying access to witnesses and redirecting them to Geneva human rights office. It took month before the French investigators received the same report they initially got from Kompass, but this time with names of the witnesses and children redacted. The UN staffers first registered the allegations in a set of interviews on May 19, 2014, according to the Associated Press, and Kompass shared the report with French authorities in July, while the UN finally shared its copy of the report only in March 2015. “In light of this case we are reviewing our practices, procedures and guidance” for staff and for reporting incidents, UNICEF spokeswoman Najwa Mekki, said in an email to the Associated Press on Saturday.